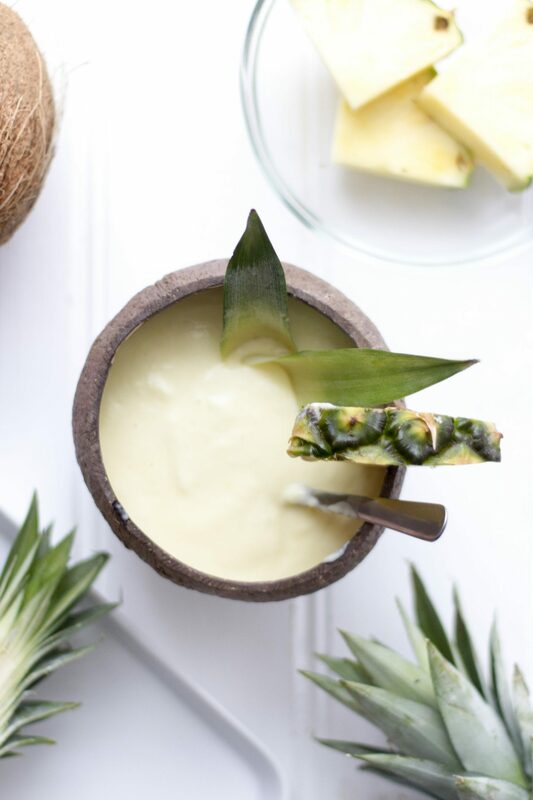 Pina Colada Ice Cream is much easier to create than one may think with only a handful of ingredients and pretty much all you need is a decent blender. Place 1 tins of coconut milk in the fridge over night. Add the third tin of coconut milk to a small saucepan together with the confectioners sugar and stir in. Heat on medium temperature and let it simmer for about 30 minutes until the liquid has reduced and the mixture has become clear. Add it to a jar and leave it in the fridge to cool down. Blend 1 cup of frozen pineapple in a high-performance blender. Make sure to stop the blender every 10 seconds to scrape the pineapple down. Take the 2 tins out of the fridge and turn them upside down onto the counter. This will make the firm part of the coconut milk collect at the bottom, whilst the liquid part rises to the top. Open the tins and pour the liquid part into a jar (this is awesome for smoothies!). 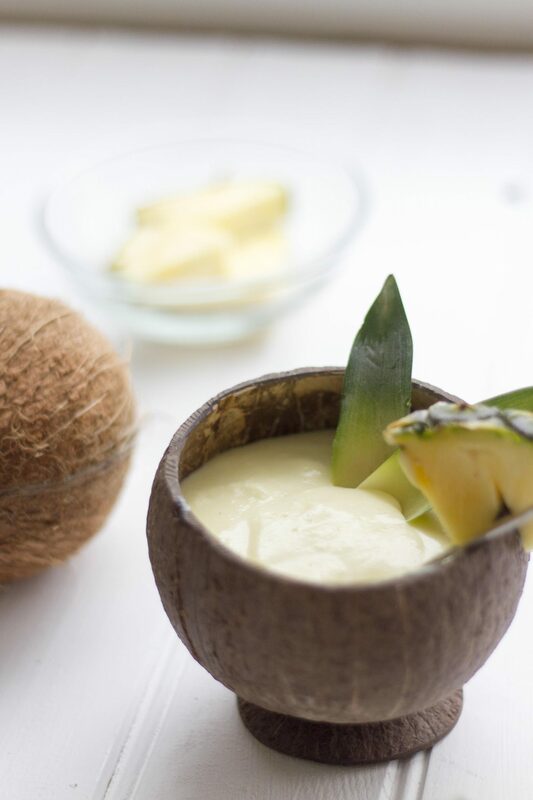 Add the firm part of the coconut milk to a cold bowl and whisk until you get whipped coconut cream. It is best to use a metal bowl and keep it in the fridge upfront, as well as using electrical equipment to whip it. Once whipped, add it to the blended pineapple then pour in the reduced coconut/sugar mixture as well as the vanilla extract. Blend until combined, then add to a freezer-safe container, before transferring everything to the freezer. You’re ice cream will be ready to eat after 20 minutes. Tip: If keeping the ice cream in the freezer for a longer time, simply pop it out of the freezer 20 minutes before consuming.